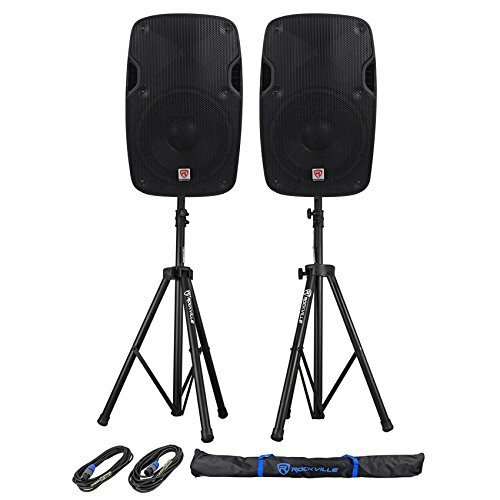 The SPGN104 two-way loudspeakers weigh less than 16 pounds and pack a ton of punch. The SPGN104 features 800-watt peak power capacity. They are designed with a 1.35-inch pure titanium high-frequency compression driver, and a 10" low frequency transducer with a 2" high temperature aluminum voice coil to handle extreme power.The Rockville SPG SoundGig series passive loudspeakers are a quick way to expand your system, allowing you to add speakers and more power as needed. The SPG speakers offer the same drivers and studio sound quality of the popular Rockville RPG units. They're designed for optimum performance for use with powered mixers and power amplifiers.